North Ayrshire TTC hosted newly crowned League Champions Drumchapel Glasgow in Saltcoats on Saturday 15th April. The atmosphere was electric for this local derby as it was NATTCs last home match of the season and there was a lot of travelling support from Glasgow. NATTCs team consisted of Richard Main, Craig Hardie, Chris Main and Andy MacPherson. 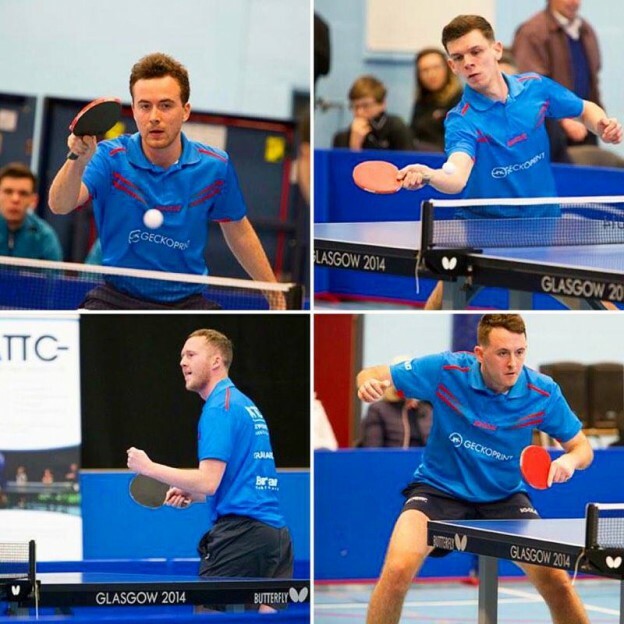 Drumchapel had yet to lose a match in the British League as they boast world class players such as Liu Song, He Zhi Wen , Huang Yen Che and Chris Wheeler. Richard battled gamely against past Olympians Liu Song and He Zhi Wen, but ultimately losing 3-1 to both in closely fought matches. Chris also battled hard losing close 4 set matches to Huang and Liu. Craig battled well agaisnt Chris Wheeler, but just falling short at key points to lose 3-1. Andy held his own in his matches in his only 3rd match of the premier league, however the Chinese contingent was too strong for the Ayrshire locals. NATTC travel to London on Sunday 30th April to play BATTS which is the final match of the league and is of significant important to NATTC, as a draw would almost guarantee them finishing in an amicable 5th position in the league and will set them in good stead for next season.